Technology — Humanware Matters Most! A humorous translation of techno-babble. Tom Raffa simplifies the basics of the ever more prevalent charitable remainder trust. Learn about the defining qualities of a growing network of technology support programs and organizations offering nonprofit organizations support in technology and planning management. Adopting the principles of open systems, technology transparency, fair exchange, and fair compensation could significantly further the nonprofit sector’s ability to embrace technology. Pratt shares ten simple techno-related opportunities to cut cost and add value. DiJulio offers four current examples of advocacy campaigns significantly enhanced by the use of the Internet. 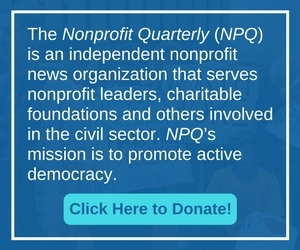 Welcome to our second national issue of the Nonprofit Quarterly. This issue debuts our new special departments. We have developed this section in response to readers’ requests that we cover topics of constant interest to nonprofit managers: fundraising, governance, financial management and accounting, human resources, advocacy and the spirit of our work. Our coverage of these topics will, of course, focus on the innovative and the provocative. These articles will also be of practical use in your everyday work. As organizations strategize about adopting new technologies an appreciation for the degree of openness and resistance to technology embedded in the existing organizational culture is helpful. Recommended technology-related websites, electronic newsletters and listservs that have nonprofits in mind.